Uncle Maddio’s Pizza Joint is not your ordinary pizza joint. It’s much like a cozy hangout where everyone enjoys freshly-made pizza and other delicious food items while having a great time with family members and friends. It has earned the distinction of being the ideal pizza place for everybody. Below are the latest Uncle Maddio’s Pizza Joint menu prices. Price includes cheese and any 3 toppings. The path to a free pizza is easy with a membership in Maddio’s Rewards program. members receive one point for each entrée that is ordered. When members reach 10 points, they earn a free entrée. Sign-up is free and can be completed on the Uncle Maddio’s website or by text. The restaurant assures ultimate freshness and overall quality in every item that it serves to customers. Whether you want a pizza, salad, or even a specialty Panini, options available are almost limitless. Just tell the pizza maker how you want your pizza to be cooked and he will make one just as you like it. Indeed, every pizza turns out perfectly at Uncle Maddio’s Pizza Joint. When it comes to prices, everything is affordable. For instance, the restaurant’s signature pizza BBQ chicken, which is made with BBQ & tomato-basil sauce, cheddar and mozzarella, and grilled chicken and bacon are priced at around $7.99. Actually, any three-topping pizza that comes with a Greek salad can be enjoyed for only $8++. What more can you ask for? Uncle Maddio’s strives to deliver the best pizzas to its customers. It’s your kind of pizza restaurant where every dough, sauce, cheese, and ingredient is at its freshest. Everything is made and prepared inside the store every day, and pizzas are cooked as they are ordered. Needless to say, Uncle Maddio’s Pizza Joint is committed to serving exceptional food. 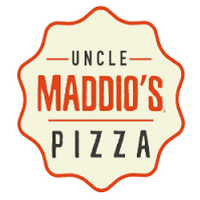 For more information about Uncle Maddio’s Pizza Joint, visit their official website.